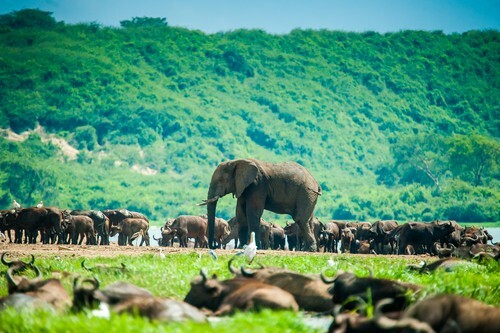 Tarangire National Park is one of Africa’s iconic wildlife destinations. 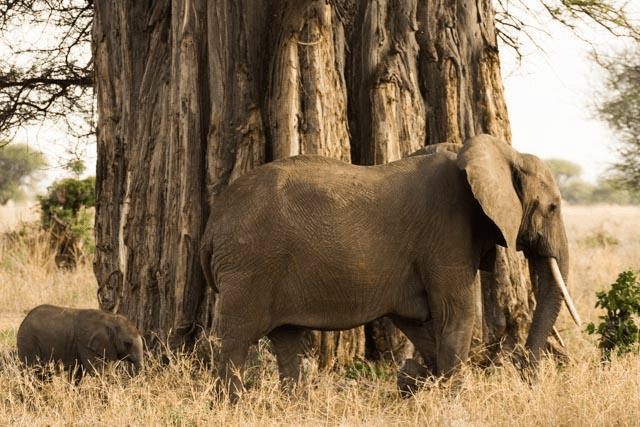 Located in the north of Tanzania, Tarangire is well known for its growing population of elephants and for its giant Baobab trees. 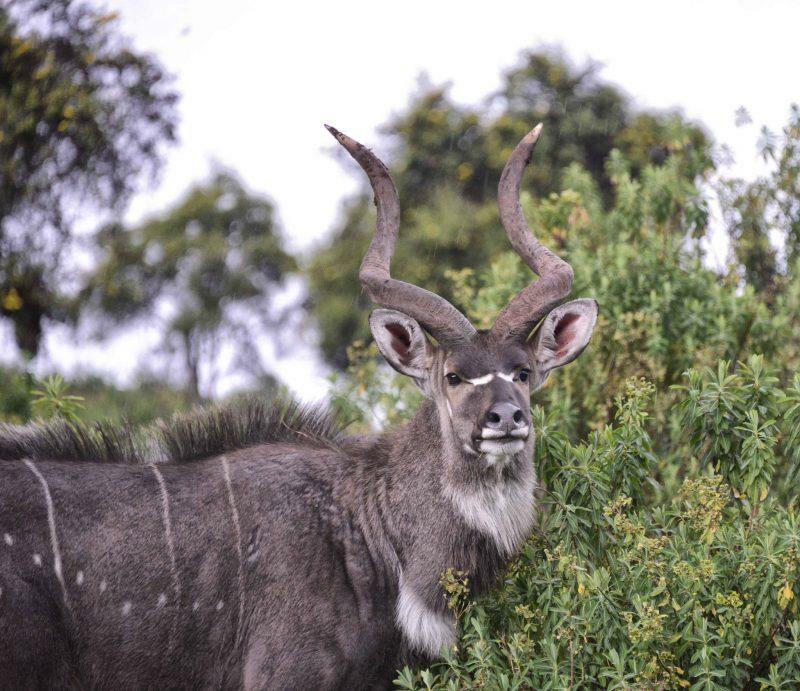 Our safari expert Inge Olde Rikkert recently spent an incredible weekend there. 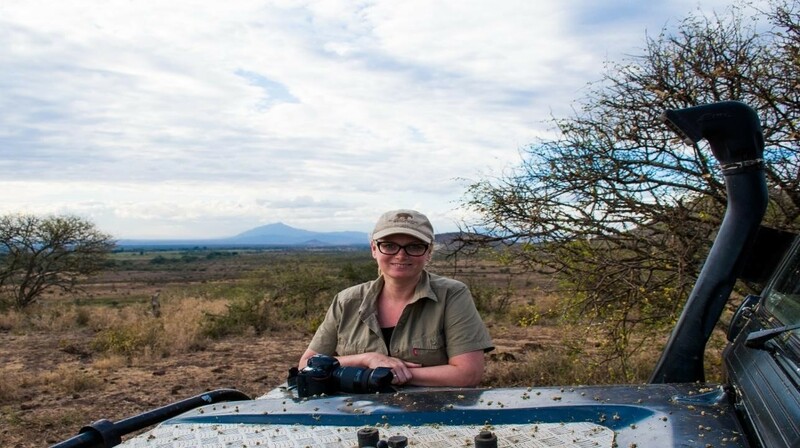 Inge started her game-drive at the crack of dawn and was rewarded with a beautiful sunrise and breakfast by a waterhole, in the company of 15 lions! 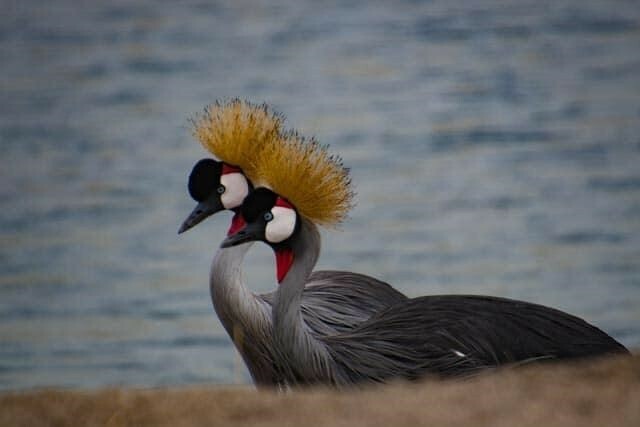 A pair of majestic crowned cranes were spotted close to the water where they like to nest for cover. Tarangire boasts an incredible bird diversity due to the variety of its habitats, with over 550 species. The number of elephants around was astounding. Tarangire is fantastic for elephant watching all year round but especially when it is dry and they are concentrated along the Tarangire river, which is unusual for this time of year. Can’t wait to to experience a safari for yourself: contact us today! Tinga Tinga is a unique and visually stunning painting style that was developed in the second half of the 20th century in Tanzania, East Africa. Tinga Tinga Art began as a simple idea: Use recycled, low-cost materials, like masonite squares, ceramic fragments, and bicycle paint. The founder of Tingatinga paintings, Edward Tingatinga was born in the settlement of Mindu, and if you looked in the road map of Tanzania this location cannot be found; in fact, there is not much left of this settlement itself and the house where he was born is now completely gone. While Mindu was once home to its own missionary school and dispensary, the settlement has since disintegrated with the departure of the young generation and is now home to a handful of older residents with nowhere else to go. 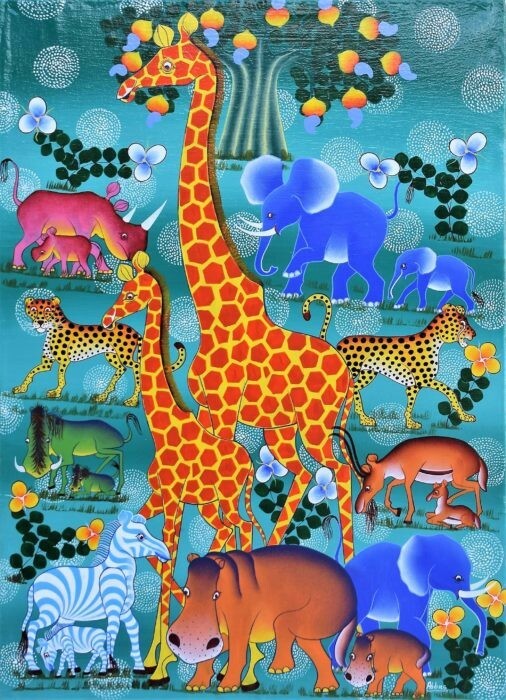 Tingatinga paintings tend to be striking in color due to being made on masonite and are popular with tourists such as Europeans and Americans due to the ease of transportation. The paintings are found all over Tanzania in different sizes and qualities but are best found in the Tingatinga Arts Cooperative Society, located at Morogoro Stores in Dar es Salaam, Tanzania's capital city. 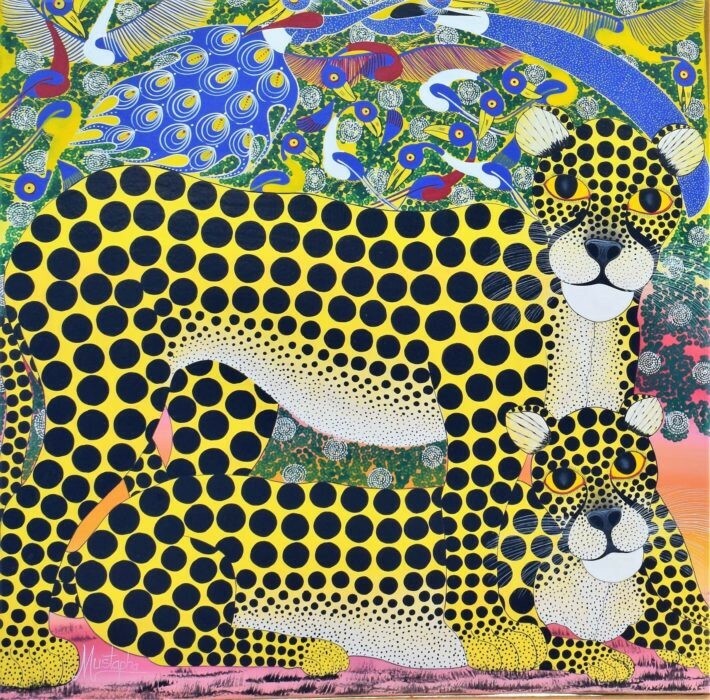 Why not consider buying a piece of Tinga Tinga Art as your next holiday souvenir? 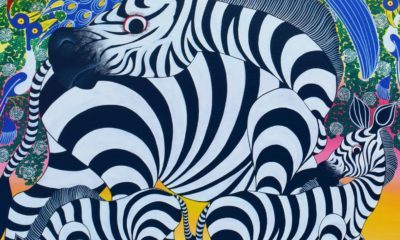 In this blog, we explore why you should buy Tinga Tinga Art. There’s no doubt that buying prints and posters is fun – but there’s a lot to be said for saving up for a piece of Tinga Tinga Art. Buying a painting supports the artist directly.Tinga Tinga painters lovingly make their work, and it can be challenging to make ends meet in such a labor-intensive and competitive field. Enrich your home and feel good knowing your purchase is helping to support a local artist by shopping at their galleries or online. Paintings are tactile.An ordinary print surface can never live up to a gorgeously textured handmade painting. Whether done on a canvas, wood, or mottled watercolor paper, Tinga Tinga paintings have a tactile quality that sets them apart from the rest. Paintings are perfect for renters.If you rent, it can be difficult to personalize your own space when you’re not allowed to paint the walls or make other changes. Hang a painting or two and you can really make the place your own. Unlike bulky pieces of furniture, a painting can be carried with you no matter where you are and where you live. Paintings are one of a kind. There’s something satisfying about having a completely unique piece of artwork that you cannot get anywhere else. Like handmade clothes or furniture, paintings show the hand of their maker so you can add a touch of personality to the home. Mass produced items cannot compete with that. A painting can make the room. A painting begs to be the focal point of a room. Whether your artistic taste runs to the bold and graphic or to vintage landscapes, the painting you choose is bound to have a large impact on your space and give it the wow factor. Paintings can make a house feel like a home.Paintings you’ve owned for a while become like old friends. Simply pulling out your paintings and putting them up can make any space, no matter where you are, feel like home – you can even hand your painting down to sons, daughters, grandchildren as you get older. Looking at a painting you love refreshes your spirit. Why not give yourself the gift of daily inspiration by saving up for a small painting you adore? If these reasons are enough to persuade you to buy a piece of Tinga Tinga Art, you can purchase a lovingly handmade and unique piece from the Tingatinga Arts Cooperative Society’s official website on TingatingaArt.com. You can also visit the Tingatinga Arts Cooperative Society the next time you are in Dar es Salaam, the capital city of Tanzania. 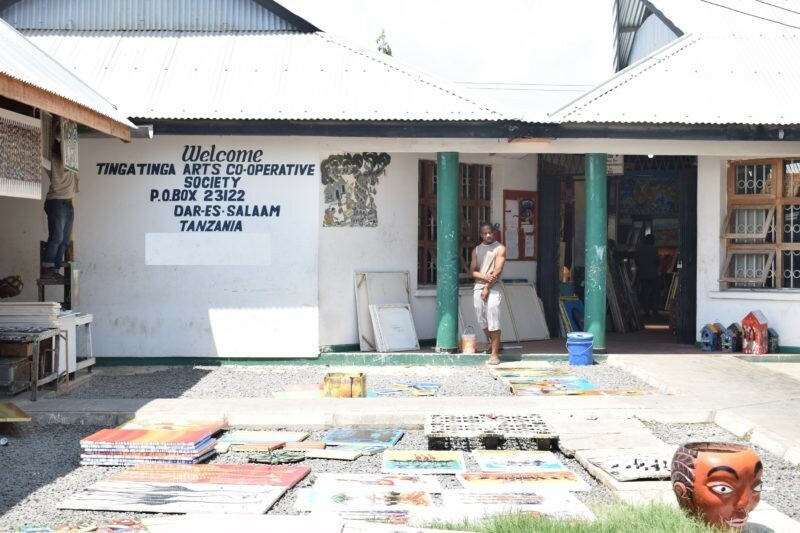 Located conspicuously along Morogoro Stores, the cooperative hosts around 100 talented artists who use art to express their creativity and talent through these colorful pieces of art. Many artists see themselves as Tingatinga's successors and maintain his style, but others experiment with new forms and motifs. On the one hand, the cooperative operates as a painting school for the Tingatinga style of art, but on the other, it promotes the art sales internationally to enable its members to earn their living. The objective of the Tingatinga Arts Cooperative Society is to be independent of external financial and administrative help in the future, as well as to promote the lively Tanzanian culture. Go ahead and treat yourself or a loved one! What are you waiting for? The above is a guest post written by a member of the Tinga Tinga Arts Collective. The views therein do not represent the views of Shadows of Africa or its staff. With so many safari itineraries to choose from, it can be difficult to find the right one! Here are our most popular safari itineraries all in one place! Planning a safari during rainy season might not seem like a great idea, but Shadows of Africa has some tips on how you can experinece Africa year round. Tanzania is Africa's foremost safari destination, and there are so many reasons for this. 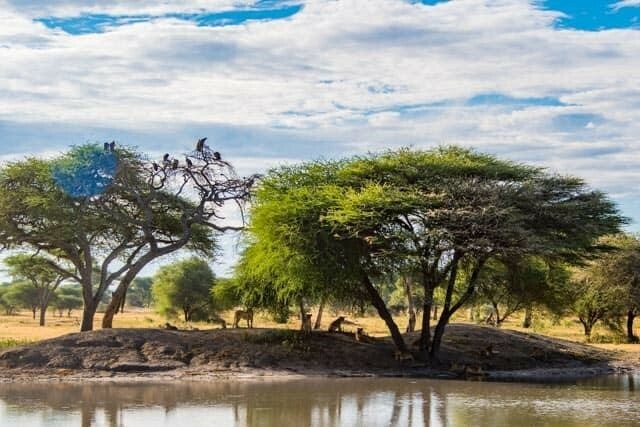 Here are the ten most appealing reasons to visit Tanzania in 2019. The Tanzanian eVisa - Finally! They could apply in advance by mailing their passport to the nearest consulate or embassy. While both of these options were relatively painless, neither could boast the convenience of the online visas that so many other countries offered. 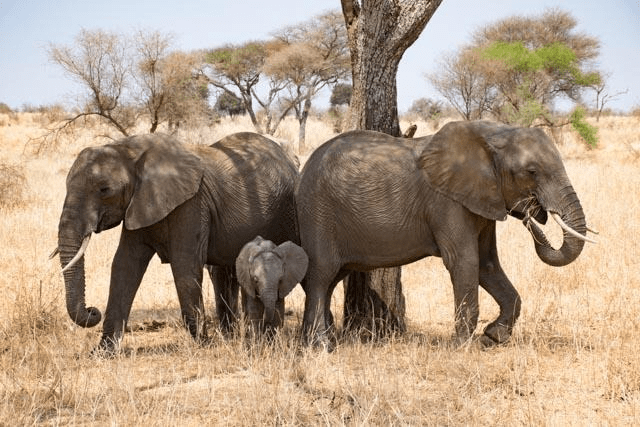 At long last, Tanzania has moved into the 21st century and is offering future tourists the chance to fill out an easy online form to get their Tanzanian eVisa. 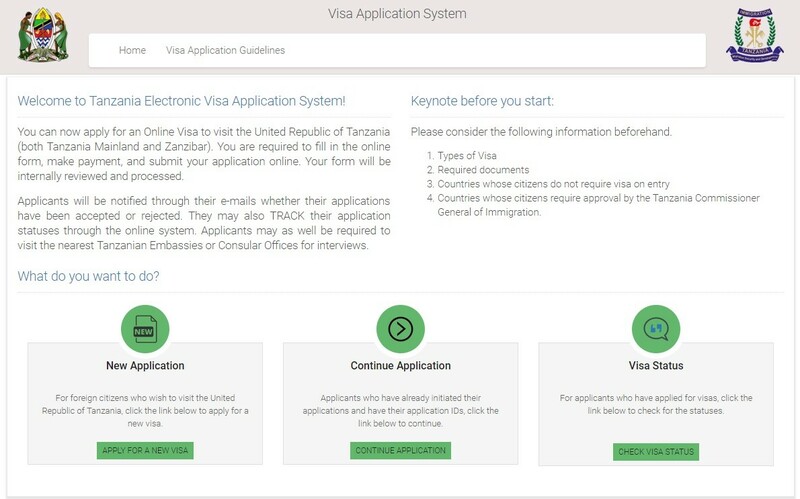 Let the Shadows of Africa team walk you through the simple process of applying for your Tanzanian eVisa. You're going to scroll down to the box in the lower left corner: New Application. On the next page, you'll be prompted to enter your email address as well as selecting a security question and answer. You'll also need to complete a CAPTCHA form to prove you're human. If you are not human, you can't get a visa, I'm afraid. On the next page, you'll be presented with your application information: an application ID and the date. You'll want to write both of these down! The next few pages will have you fill out the meat and bones of your application. Page 1: Fill out your personal information such as name, date of birth, and nationality. Page 2: Provide contact information, your present and permanent addresses, and your employment information. Page 3: Provide your passport information as well as information on your parents. Weirdly, you are required to provide information on your legal guardian. Just put your own name or your parents' name here. Page 4: This one is a little trickier, so we'll cover it in the next section! Up until now, this has all been pretty straightforward, but the fourth page of your application gets a little more complicated. You'll be asked to list the country in which you are applying and the nearest embassy. There is a limited selection of embassies here, so choose the one in your country or, if all else fails, select immigration headquarters. 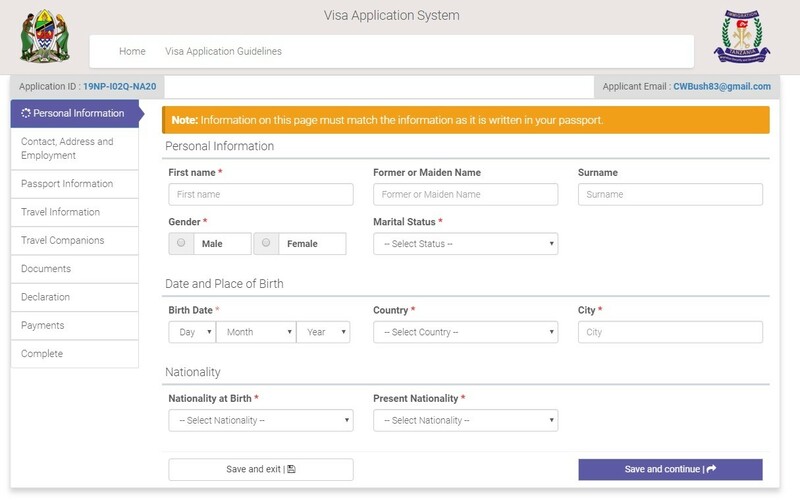 When asked for your Type of Visa, you'll need to select Ordinary (or Multiple Entry, if need be). For Purpose of Your visit, select Leisure and Holiday. If you have visited Tanzania previously, you'll need to provide the date of your last entry as well as your visa number from that visit. For your travel plans, select all that apply. Be sure to select the correct Port of Entry - the airport or land border crossing. If you aren't sure, ask your Shadows of Africa Safari Expert! Lastly, it will ask you for your accommodation. Ask your Shadows of Africa contact for the address of the first hotel in your itinerary and enter this. Are you traveling as part of a group or organization? Are you being accompanied by minors? If the answer to either of these is 'yes', you'll be prompted to provide additional information. On the next page, you'll be asked to upload a passport sized photo, a copy of your passport's photo page, and an invitation letter. An invitation letter is not actually needed for a tourist visa, but the system is set up to require one. Your booking contract will work in place of a formal invitation letter. On the next page, you'll be asked to review the information you've submitted and agree to a Declaration Statement. Make sure everything is 100% correct, as you can't change it after this. You'll then make payment for your visa and be provided with confirmation. Visas are $50 USD (or $100 USD for US citizens), just as they would be at the border or airport upon arrival. To check on the progress of your application, return to this website. You'll find a Visa Status button in the bottom right corner. Enter the details you were provided in step two and you're all set! 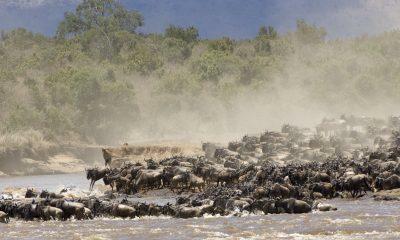 Wanting to know what the best time to see the Wildebeest Migration is? We've got a detailed, month by month guide to help you plan your dream safari. Tulia Unique Beach Resort is one of our favourite resorts on Zanzibar. With its attention to detail and impressive inclusions, it's the perfect choice! When it comes time to plan your African safari adventure, it can be difficult to choose from the many fantastic safari destinations. While East Africa's Wildebeest Migration might be the star attraction, there are plenty of reasons to consider other options. Today, the Shadows of Africa team breaks down the benefits and drawbacks of the ten best African safari destinations. Ethiopia isn't commonly thought of as a safari destination. The nation's most famous attractions tend to be of a historic nature, with images of iconic Gondar and Lalibela sure to come to mind first. 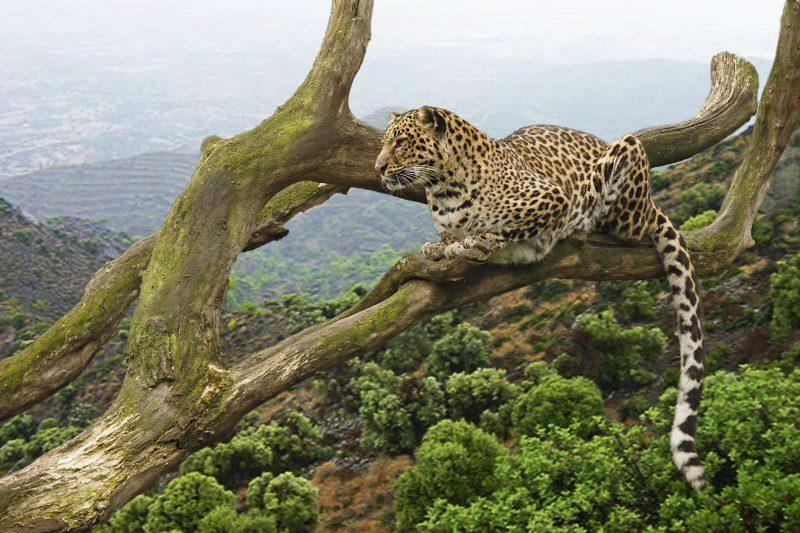 However, it is perfectly possible to combine a cultural and historic exploration of Ethiopia with a safari to see its unique animals. 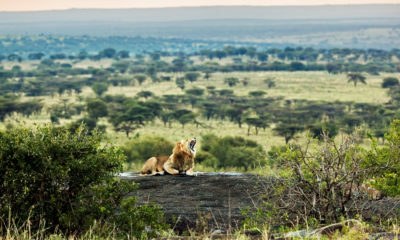 Nowhere else in the world will your safari include black-maned lions, walia ibex, or gerada baboons. This makes Ethiopia a fantastic choice for those who have already 'been there, done that'. Pros: Unique wildlife. Fascinating history. Delicious food. Cons: Not a traditional safari destination. Recent political unrest. What comes to mind when you think of a trip to Rwanda? Chances are, it's either gorilla trekking in Volcanoes National Park or visiting the haunting Rwanda Genocide Museum in Kigali. Did you know you can also combine the above with a Big Five safari in Akagera National Park? 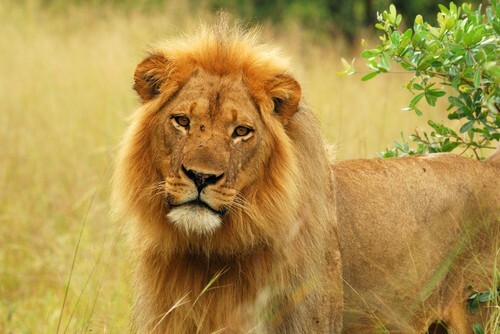 While the park was once something of an afterthought, the Rwandan government has recently made huge strides to import both rhinoceros and lions to bring the park back to its former glory. A perfect day trip from Kigali, a safari in Akagera can be tailored to also include a boat safari to make for something different. Pros: Easy day trip from Kigali. 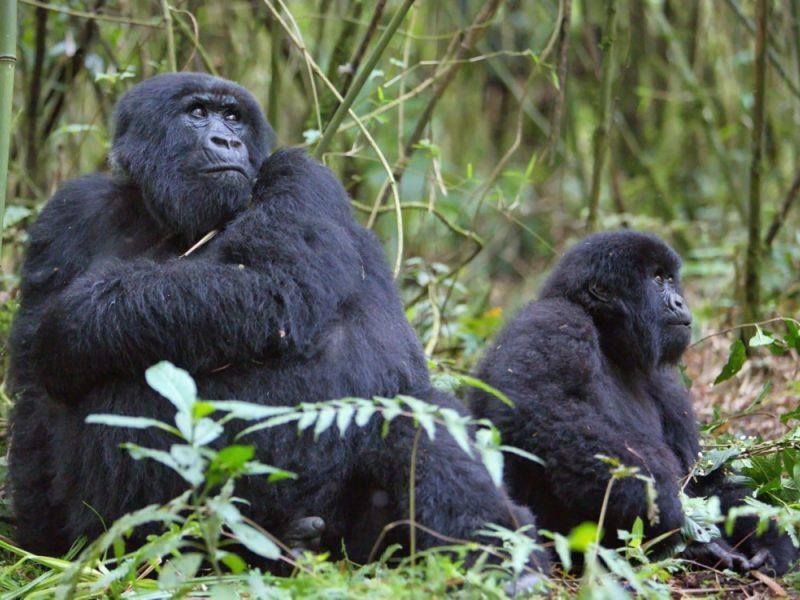 See gorillas, chimpanzees, and the Big Five in one trip. Cons: Wildlife numbers are low and Rwanda tends to be expensive. 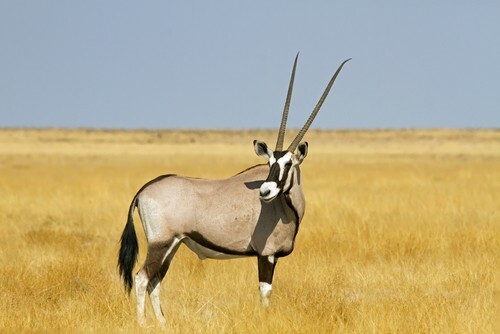 Namibia's stunning landscapes are amongst its biggest selling points. How can you not fall in love with the windswept Skeleton Coast or the towering dunes of Sossusvlei? While the tiny southern African can't quite compare with the 'big boys' when it comes to game drives, the country is still a fantastic safari destination in its own right. 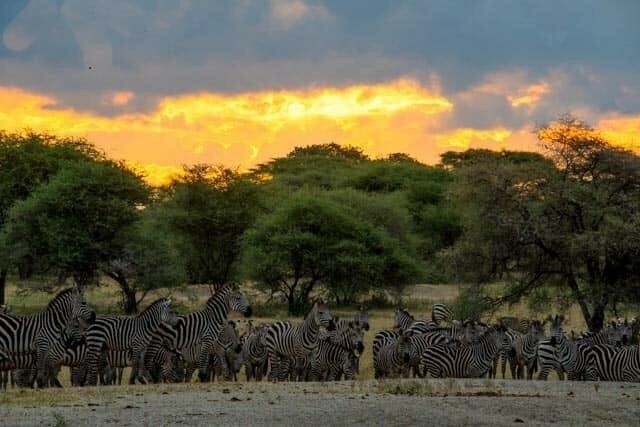 Etosha National Park, in particular, is attracting game enthusiasts from around the world with its towering elephants, the huge variety of bird and animal life, and its dramatic landscapes. When you combine this with the country's other significant charms, it becomes a very attractive prospect. Pros: Stunning landscapes. Very affordable. Cons: Long drives between destinations. 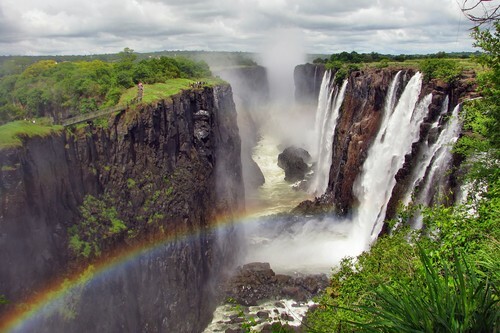 Like neighboring Zimbabwe, Zambia is perhaps best known as the home of the majestic Victoria Falls. But did you know that it is also a fantastic game drive destination? 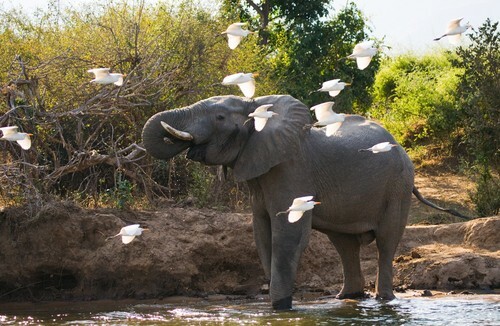 While it is certainly a bit more of an off-the-beaten-track destination than Zimbabwe, Botswana, or South Africa - Zambia's South Luangwa National Park and Lower Zambezi National Park are truly awe-inspiring game-drive destinations that can compete with some of the most famous safari parks on earth. Pros: Combine a safari with a visit to Victoria Falls. Off the beaten path charm. Cons: Off the beaten path translates into less information and infrastructure availability. Zimbabwe is one of Shadows of Africa's most popular new destinations, with people from all over the world coming to witness the powerful Victoria Falls and explore this gorgeous country. It's a shame that so few people extend their trip to see more than just the falls, as national parks such as Mana Pools National Park and Hwange National Park offer fantastic game drive opportunity. Combine this with the history of Great Zimbabwe and the aforementioned Victoria Falls and you have a country that can boast being the complete package. Pros: Victoria Falls. Close to South Africa. Cons: Less developed tourist scene away from Victoria Falls. Political issues. Uganda was once dubbed the Pearl of Africa by Winston Churchill, and we certainly agree with that sentiment. No country in Africa can offer quite what Uganda does: world-class gorilla and chimpanzee trekking, terrific game drives, and the majesty of the mighty Nile. 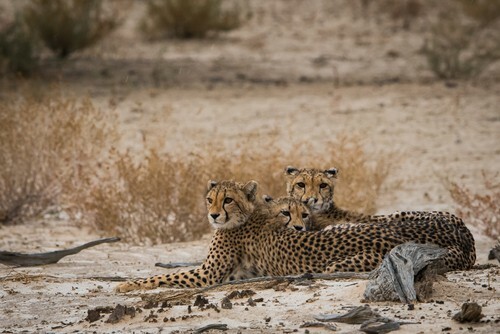 A perfect destination for those who have already visited Tanzania, Kenya, and South Africa - Ugana's wild charm and variety of offerings makes it a great place to plan that second safari. Pros: The best place to combine gorilla trekking, chimpanzee trekking, and a Big Five safari. Cons: Poor road conditions, expensive domestic flights. One of the world leaders when it comes to wildlife conservation, Botswana is a truly world-class African safari destination. Chobe National Park is home to Africa's densest concentration of wildlife, Chobe is a conservationist's dream that can boast Africa's largest elephant population and some of the world's most stunning landscapes. 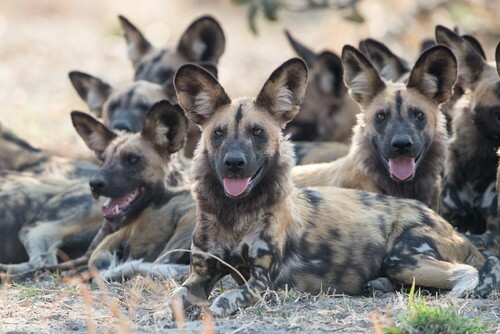 Of course, there's more to a Botswana safari than just Chobe. Botswana is home to a number of other fantastic parks that are worthy of your time. Pros: World class conservation record. Africa's densest wildlife population. Cons: One of Africa's most expensive destinations. Arguably the most famous African safari destination, South Africa is justified in its popularity. Its diverse landscapes, fantastic beaches, world-class wines, and famous game parks make it a hugely popular destination. South Africa's level of development and the fact English is the primary language makes it an appealing destination for first-time safari travelers, but it also means a more crowded tourism scene. 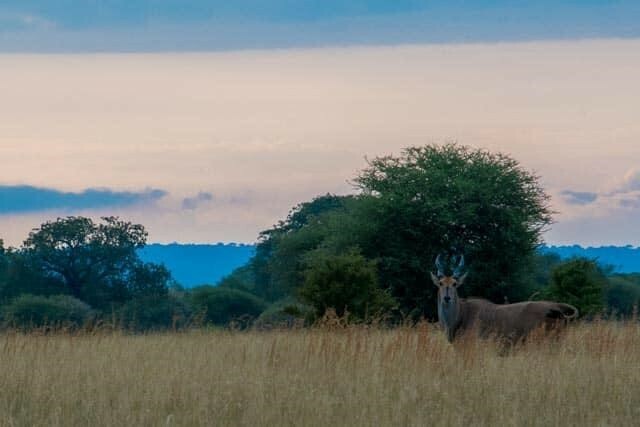 Still, Kruger National Park is justifiably considered one of the world's best safari parks, and the prospect of combining this with the stunning Garden Route, the popular South African wine regions, and the gorgeous beaches makes South Africa a great choice. Pros: English speaking nation, well-developed tourism market, and a variety of activities. Cons: Crowded market can make booking hotels difficult. Kenya often refers to itself as "Africa's safari capital", and the East African country absolutely has a claim to that mantle. 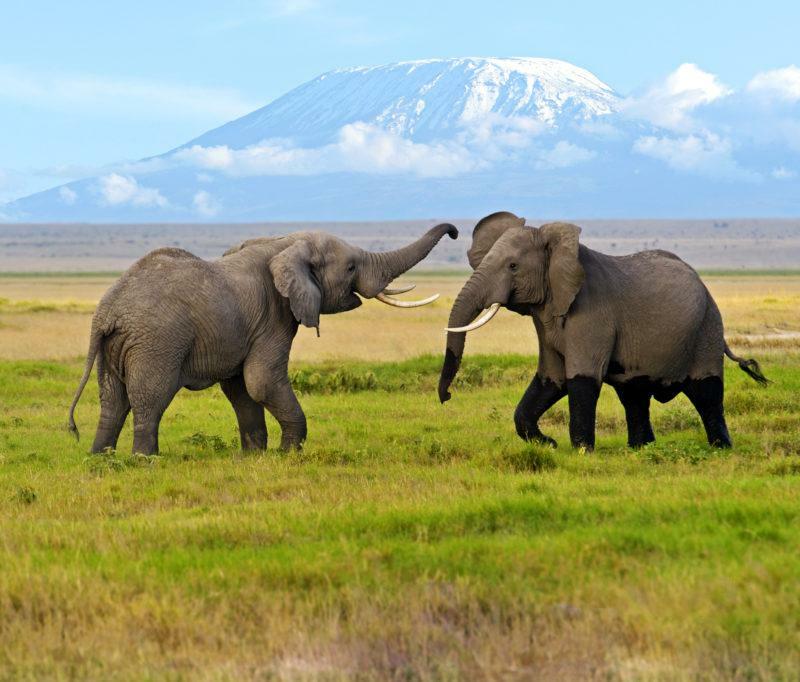 Home to the world-famous Maasai Mara as well as boasting the best views of Mt. Kilimanjaro, Kenya is also an affordable and well-developed tourism market that is great for families or people traveling on a budget. 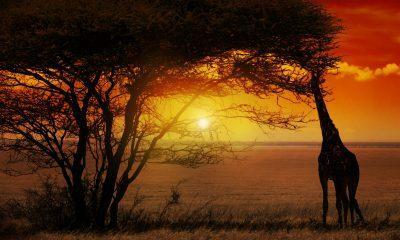 Shadows of Africa offers a huge variety of Kenyan safari tours, so there is something for all walks of life. Pros: Home to the Wildebeest Migration in August-September. Views of Mt. Kilimanjaro from Amboseli. Cheapest East African nation. Cons: Popularity means hotels sell out early. The undisputed king when it comes to African safaris, Tanzania is home to the Wildebeest Migration for ten months of the year. It's also home to the World Heritage-listed Ngorongoro Crater, Africa's tallest mountain, and the gorgeous island paradise of Zanzibar. When it comes to putting together your dream Tanzanian safari, Shadows of Africa have you covered. We've been in operation here for almost a decade and know the country inside and out. 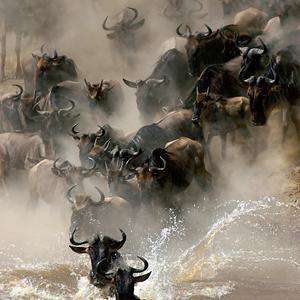 Pros: The best place to see the Wildebeest Migration. Mt. Kilimanjaro. Zanzibar. Ngorongoro Crater. Cons: East Africa's most expensive destination. With so many choices when it comes to planning your African safari, it can be difficult to find the right fit for you. Thankfully, Shadows of Africa has expertise in all ten of the above countries and can help find the perfect fit for you! Contact us to start planning your dream safari now!